"Concentration, in its truest, unadulterated form, means the ability to focus the mind on one single solitary thing." Excellent video on Hip Thrusts above. GREAT exercise! I found the following list on Coach Mike Boyle's blog. He got this list of 23 things from Coach Robert Dos Remedios and I wanted to share it with you as I found it very interesting. I’m pretty sure I know how to get out of my neighborhood. that you just aren’t going to do anything productive for the rest of the day. any changes to my ten-page technical report that I swear I did not make any changes to. didn’t hear or understand a word they said? in at the front. Stay strong, brothers and sisters! Only have a short amount of time to train? Try the above and see if you can conquer this like Alli McKee does. Let me know how you make out. It's a quick, yet super tough way to run through a good quality push/pull circuit. Good luck! 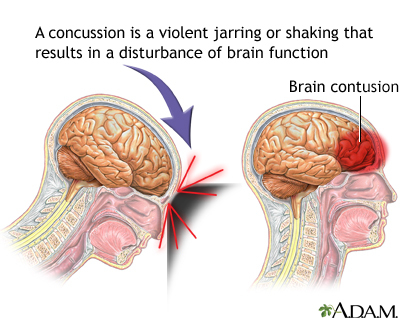 Last Tuesday, I sustained a Grade I concussion when I slipped on a sweat spot playing basketball. Like most head injuries, I also experienced a lot of neck pain due to the whiplash when my head struck the court. The injury, which has forced me to put my own training sessions on hold for the moment, got me thinking about preventing further issues with my neck/head/cervical spine. "...having strong neck muscles may reduce the subconcussive forces that occur as a result of hitting the floor or taking an elbow to the head. Having strong neck muscles will help to dissipate the force. To address this issue, we have our players do manual resistance neck work. For example, they do manual resistance exercises and trapezius pulls or shrugs. This usually occurs on Mondays and Wednesdays of our workweek to spread out the accompanying soreness." I'm certainly going to take Coach Jacobs' words to hear and apply some changes to improve my training program. Back to the Future Nike Shoes for Sale! 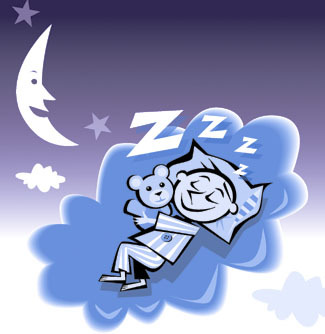 Have a Consistent Bedtime – Whether it is during the week or on a weekend, go to bed at the same time. This will ensure that you are in the habit of having a consistent sleep pattern. Limit Caffeine – You should limit the amount of caffeine you have throughout the day, but definitely do not have it within a few hours of your designated bedtime. The effects of caffeine may in fact keep you awake well past your bedtime. Exercise – It is better to exercise earlier in the day and not too close to bedtime. Daily exercise when done consistently can help promote the body’s need for rest, but a boost in energy right before bed may keep you awake. Reduce Stress – Stress can inhibit one’s ability to “turn off the mind” and fall asleep. If you are experiencing stress that causes you to stay awake, consider stress-reducing breathing exercises, yoga during the day, or make an effort to eliminate the root of the stress. Have a Comfortable Sleeping Environment – Make sure your bedroom is conducive to sleeping by controlling the temperature, keeping it dark and eliminating noise that may wake you up.